LH 116: Don’t Do Fall Garden Clean Up! Why Skip Fall Garden Clean Up? I mean, plants have died back or gone dormant and winter’s coming. So, why wouldn’t we want to clear out the debris and tidy up? Well if you’re an organic gardener, fall clean up is the last thing you should do because all the beneficial insects are overwintering in that debris. From native bees to ladybugs, the fall garden provides shelter and more. 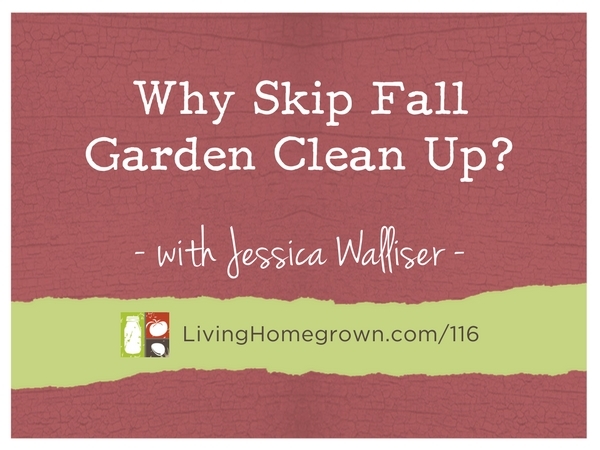 In today’s episode, I bring on author Jessica Walliser to give us the whole scoop on why traditional fall clean up is a thing of the past and what we should be doing instead. Jessica also answers a listener question about trap cropping. Horticulturist Jessica Walliser co-hosts The Organic Gardeners, an award-winning program on KDKA Radio in Pittsburgh, Pennsylvania. She is a former contributing editor for Organic Gardening magazine and a regular contributor to Fine Gardening, Urban Farm, and Hobby Farms magazines. 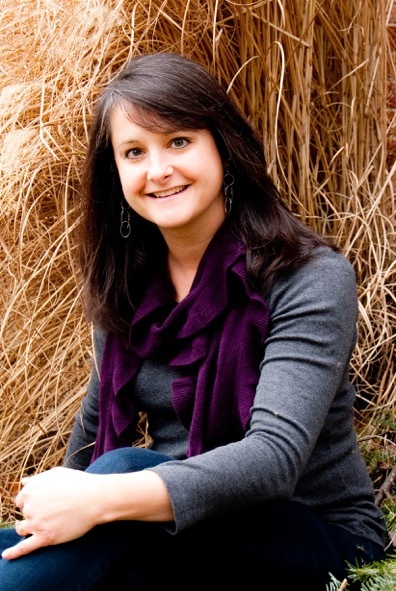 Jessica also serves on the Editorial Advisory Board of The American Horticultural Society. Her two weekly gardening columns for the Pittsburgh Tribune-Review have been enjoyed by readers for over ten years. Jessica’s fourth book, Attracting Beneficial Bugs to the Garden: A Natural Approach to Pest Control, was awarded the American Horticultural Society’s 2014 Book Award. She is also the author of the Amazon best-seller Good Bug, Bad Bug: Who’s Who, What They Do, and How to Manage Them Organically and Container Gardening Complete: Creative Projects for Growing Vegetables and Flowers in Small Spaces. In addition, Jessica blogs weekly for both SavvyGardening.com and HobbyFarms.com. Avoiding Fall Clean Up – Jessica’s articles goes deeper than this podcast! Hi Theresa, Loved this podcast! I’m getting ready to head out to my garden and I’ll certainly change how I do my fall chores. I did want to let you know that I’ve been experiencing skipping when listening to the podcast – not just this one. I’m not sure if others are experiencing the same or if it’s my less than ideal internet! Again, thanks for all you do and the wonderful information you pass along! Thanks for the note Wanda. I will check the episode to make sure all is okay on this end. Thanks for letting me know!